With Siegling Transilon, the gap is often bridged between the classical conveying function from “A” to “B” and an active function in the production process. 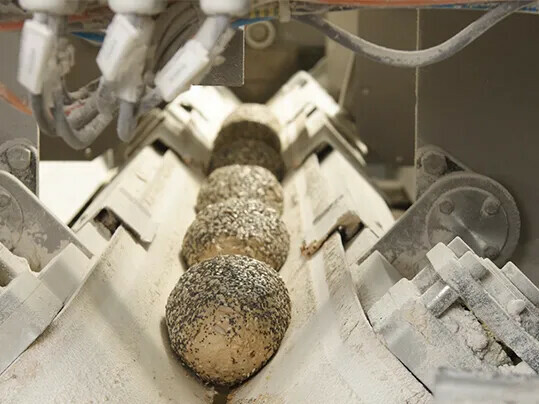 For example, in the textile industry our processing belts stack thin layers of web, in large bakeries they form balls of dough, in the wood industry they compress chip mat in the pre-press, in dairies milk is coagulated on the belts to form cheese. Here are just a few examples of process operations. Cross-lapping of web layers in the nonwoven industry. 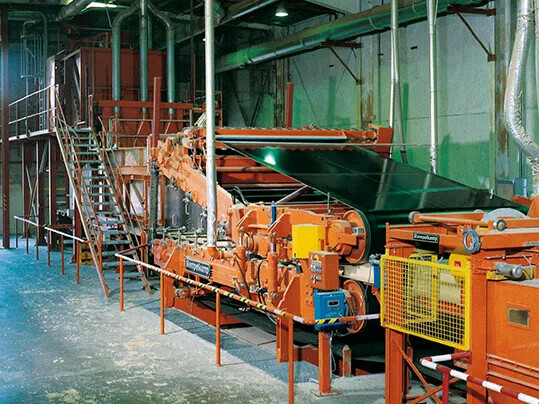 High production speed and acceleration of masses while the web is guided directly between the belts places extremely high demands on the processing belts. In large bakeries balls of dough are formed as a result of differing belt speeds. 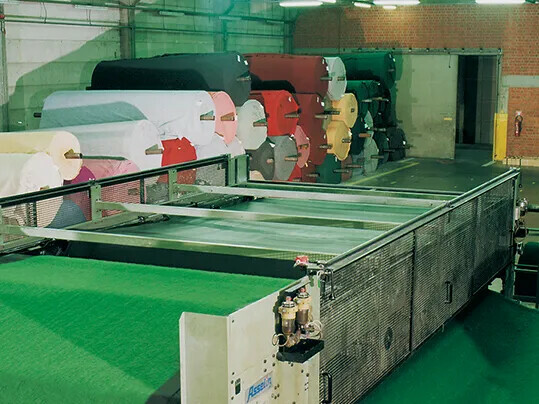 Pre-press belt in the manufacture of particle boards. The particle mat is pre-pressed while being conveyed.